More than $200 million worth of investment into Bahrain’s manufacturing and logistics sector was attracted in the first half of this year, according to the Bahrain Economic Development Board (EDB). It said the investments are expected to create approximately 1,000 jobs over the next three years in the Gulf kingdom. 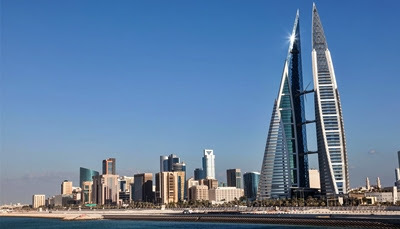 The growth follows a substantial increase in the number of international businesses looking to use Bahrain as a hub to access and seize the regional opportunities offered in the GCC market and beyond, the EDB said in a statement. Mondelez International, one of the world’s largest snacks companies, is building a biscuit production plant that will produce the famous brands Oreo, Ritz and TUC. The plant, which will generate 200 jobs in its initial phase, represents the second investment by Mondelez in Bahrain in less than 10 years. Both investments by Mondelez are located at Bahrain International Investment Park (BIIP). EDB also said GCC textile and fashion distribution company Armada Group has recently begun construction of its regional distribution centre in the Bahrain Logistics Zone (BLZ), investing over $50 million and creating 400 direct jobs over the next three years for locals. Other important investments this year include ECU Worldwide, SMSA Express, Elsewedy Electric, Mennekes, Sonmez Metal, Tsinx Environment Technology, Almajdouie Holding, Lals Group, as well as expansion investments by several companies including Kuehne + Nagel, Sandvik, and Agility Logistics. Bahrain’s manufacturing, transportation and logistics sector is currently one of the largest contributors to the country’s GDP and accounted for 20.3 percent of 2016 GDP. Khalid Al Rumaihi, chief executive of the EDB, said: “The economic transformation taking place in the GCC is creating exciting opportunities for manufacturing companies – and we are delighted that many are choosing Bahrain as a location from which to access them.